Customer support : direct email address, contact form, phone number, live chat. 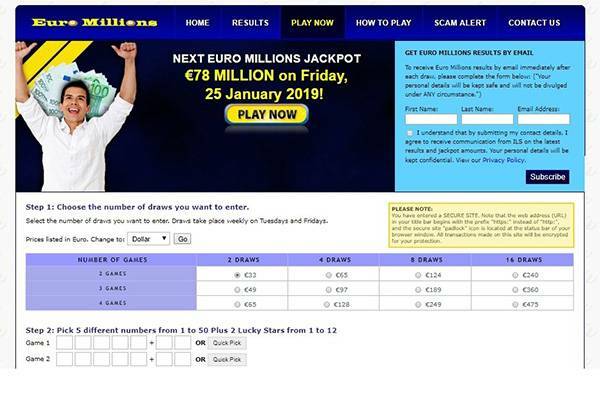 European Lottery NET is one site of the many that form a network called International Lottery Subscription – or, in short, ILS. 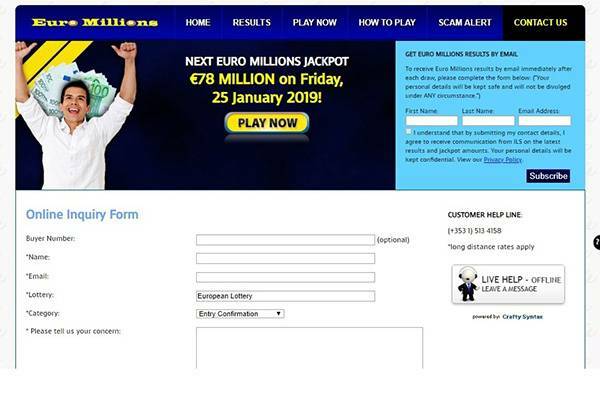 Each site within the network focuses on a specific lottery or country. 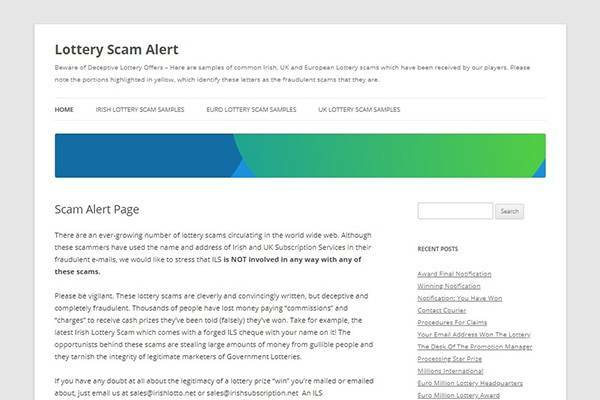 ILS’ thing is a variety of sites that focus on a specific lottery or niche. 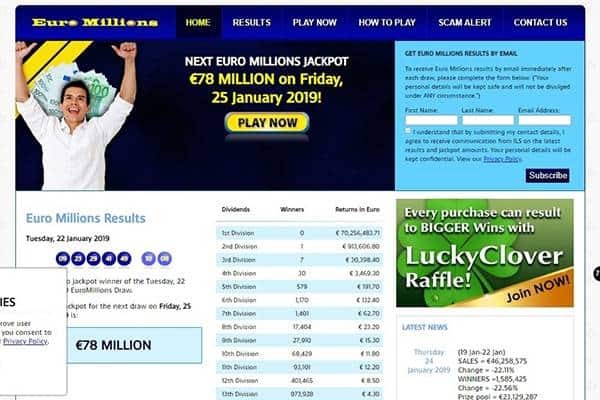 In European Lottery Net’s case, it is EuroMillions they focus on. This is the one lottery you can play through their platform. Seeing the Desktop view of the site, I expected a terrible mobile view support, but was pleasantly surprised that every element on the screen fitted my mobile device’s screen. The website looks better on a mobile device than on any other. The UI is still simple, like an old version of Office. There are no promotions available. This could be due to the fact that ILS only charges transaction and agent fees – leaves very little room for discounts and bonuses – or simply an old and outdated platform. EuropeanLottery accepts a variety of credit cards. These include: Visa, Master Card, American Express (Amex), and Japan Credit Bureau (JCB). Winnings are claimed by ILS on the winners behalf and set to any bank account in the world. Alternatively, winnings can be used to complete future lottery ticket purchases. There’s little and hard to reach information spread throughout the site. Some links appear in the menu, some in the footer. When customer support is needed, there are a few channels available: online inquiry form/ contact us form, customer help phone line, and live chat that I couldn’t reach as was offline during more than a few visits to the site. There’s also an email address so Sales, but if need any assistance and fail to reach a representative, I’ll definitely use it. 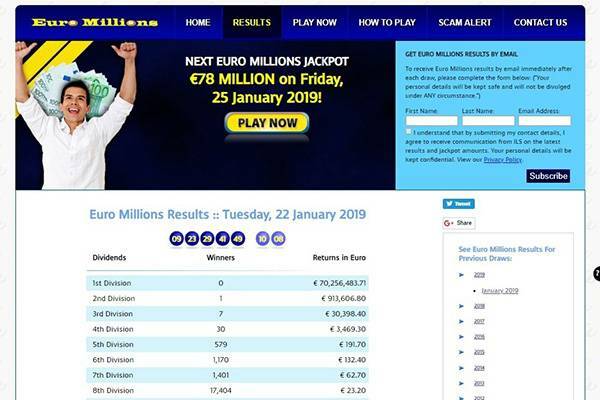 Is EuropeanLottery.net legit or fraud? The service is not very friendly in terms of the platform and UI, but there’s no indication of fraud or scam. The site is secured as expected from all others sites I review, and the company behind it is legitimate. I would say it is legit, but still most likely wouldn’t use it myself. There are no reasons not to recommend this brand, but I also couldn’t find reasons to recommend it… the service seems solid and trustworthy, but it is also not as polished and accessible as some of the leading competitors. 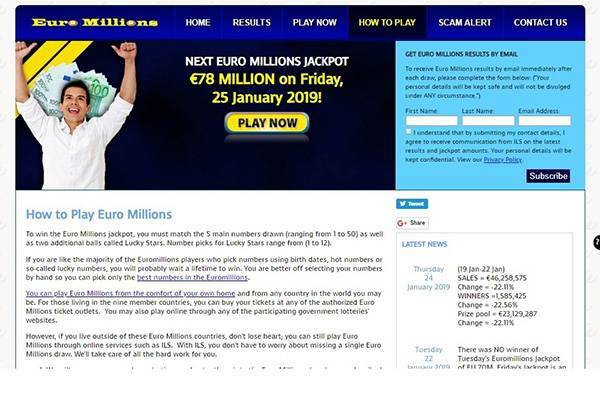 If you’re a lottery player who only plays Euro Millions, you’ll get your money’s worth… but not much more.